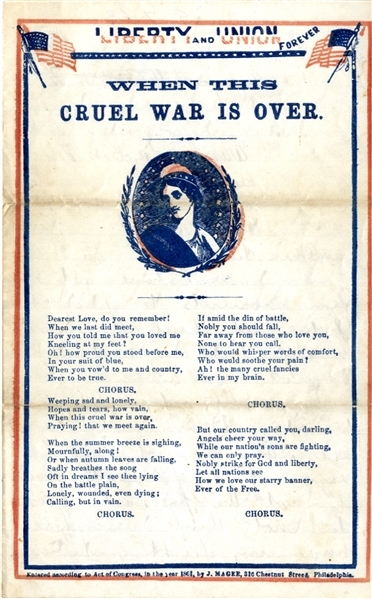 Union patriotic stationary “When this Cruel War is Over” by Magee of Philadelphia, 1861, with Union soldier letter unsigned, 3pp. Near Culpepper, this 10th Mass Soldier writes his sister. Very good condition.